One thing that doesn’t help you find the best boxes are misleading “blogger boxes” – and I’d like to share my thoughts on these boxes, and also provide more background on my reviews. If you aren’t familiar with the term, “blogger boxes” are boxes bloggers get sent that are different from the subscription box paying customers receive. The best example I can think of for a blogger box is the original FabFitFun VIP box. Some bloggers were sent pre-launch boxes, and then most paying subscribers received the same boxes but with some products missing. (I was a paying subscriber and did not get the blogger box, so I got to experience first-hand feeling misled and taken advantage of opening a box that didn’t match up to the reviews I had seen). FabFitFun learned from that initial mistake – all their boxes are consistent now. (I believe they also gave anyone who contacted them about it their next box free – but I didn’t reach out to their customer care, so I can’t speak to that). From observation I learned a lot too – I never want to review a “blogger box” – it doesn’t help anyone. When a company contacts me to send me a free box to review, I let them know first and foremost that I only review boxes a paying customer would receive. If I received a box at no cost, I will always mention it at the very beginning of the review. While my reviews are generally positive, I will never accept compensation for a positive review. (To be fair to subscription box companies – I can only think of one time I’ve even been asked to give a positive review in exchange for a free box, and I responded letting them know that I could only promise an honest review. And I just never received that box). No company has ever offered to pay me money for a review. Did they deliver what they promised on their website? (5-7 products, $100 value, full size beauty products, etc.). Did the value of the box come close to or exceed the cost of the box? (While some companies make no promise of value, I don’t like feeling ripped off). Most boxes do deliver on those expectations, hence my generally positive reviews. I have been sent complimentary boxes by companies that didn’t meet those expectations about value, and I was honest about that in the review. (Here’s a recent example of a complimentary box I received that was great but didn’t have a good value). There are some boxes that will have absolutely nothing in them I will use, but it still might be a great box to a lot of subscribers, so while I’ll likely mention I intend to gift an item, I won’t give them a negative review. (Examples of great items I won’t use: any food item with gluten or dairy, silver jewelry, most perfume). I also subscribe to a ton of boxes – I love trying out new subscriptions, and I also see it as part of the cost of running this blog. So we definitely spend a lot on subscription boxes each month. On the flipside, I can’t remember the last time I spent money on makeup, clothing, cleaning supplies, bath and body products, or tea! I try to use a personal email address when setting up accounts with subscription box companies so I can make sure I am getting the full customer experience. (My Birchbox account is an example of a subscription I have that is in no way tied to My Subscription Addiction). I hope that adds some clarity to my review process, and I truly hope you find the reviews helpful. Let me know if you have any questions! when a box was sent free for a review but it is a styling fee based box where you pay for what you keep like Frank and Oak. Do you get all the clothes for free or are you paying for what you keep? This has never been made clear in any review I have read and should be addressed in this article above. Not on the subject above, but…Have you seen the BoxyGirl toy action figures? Complete with their own boxes! They are advertised on QUBO channel for kids. LOL…I saw them and thought of you and MSA. I am so confused, wanted to see review before I purchased but people are giving reviews for Wal-Mart box, Ipsy, Birch box and something about a dog box. I have tried Ipsy, more customer service, Birch box, expensive and started to get same products over and over. Reviews didn’t help. Limit them to your box. 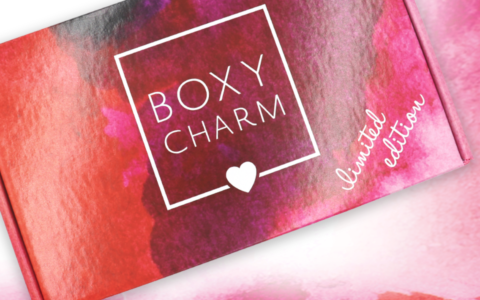 I really like boxy charm, I’ve tried Birch box didn’t care for it they sent me products I didn’t want or use. I’ve also tried Sephora play, didn’t like it either they sent me colors that were no where near my profile shades. I also tried ipsy which is ok, but would be better if they were full size products. What I noticed in all that I’ve tried is they are all sample sizes and the samples are not even full they are half full or should I say half empty which really is giving you nothing it’s basically a rip off.. Except boxy charm are all full size products..I just signed on for lip monthly, but haven’t received it yet, so we’ll see how that goes..
Hi. I receive the Walmart Beauty Box. The last two boxes have not very much in it. No full size anything. 3-4 items. That is it. Is this normal? Thinking of quitting it. I ended my subscription. Junky stuff. I now get Birchbox. Quality products, some full size!! Also you can add products you choose. Earn points, as well. 1000 times better than Walmart. Cost $10 Birchbox. I love Birchbox it’s great, I am a make up artist so it works for me. Also ipsy is really good as well you also get name brand items that come in really cute make up bags definitely worth 10 dollars per month. I’d love to send you a box to review. Pulse let me know where to ship. I would love to receive a box and do rebiews on it….do u have the informaion for me to do so? My MS Precious Loves her bark box she can always sense when it co mes !! Will knock it out of your hand n open the box herself !! And one thing I notice while you say here that you pay for boxes on most reviews you link to another page that says you paid for them. Which is it? It’s a mix. For each individual box, please see the beginning of the review where we state if we paid for the box or received it at no cost for review. I get the normal bark box and my dog tears the toys apart withing 6 hours. He’s a Boston terrier and maxes out at 25lbs. Anything indestructible for him? Try plubber toys. Plastic and rubber and my dog can’t get through them. Bark box has a new box now super chewer it’s amazing! For dogs who destroy . My dog destroyed the original in two minutes now they stay together for the most part til the next box! I have an ipsy account I also ordered my daughter one for birthday she gets each month. I’ve not been happy with my box I get get a lot of items I can buy at the dollar store and pay a Dollar so I’m not really getting my money’s worth. I’ve changed my profile like they said numerous times and emailed them. I still get the cheep and same brands and I watch as everyone else including the one I bought for my daughter get the nice stuff. I don’t know what else to do but cancel. Been with them at least two years. Anyone else having these problems? Your Opinon was the best I have Read . I’m with you , If She pay for a Box or Like You said God Bless Her if She gets it Free. I know at some point in Time When She started this She had to Pay Full Price for each Box She Reviewed for us all. Now that Company See ppl like Myself Love and Trust Her Opinons , And Want Her to Review there Products. I hope She gets them all Free , Because She deserves them. How do you get boxes before everyone else then if you set it up as a regular customer? We get some boxes sent to us early by subscription box companies. At the beginning of each review, we will identify if we paid for the box or if it was sent to us at no cost for review purposes. Hope that helps! How you get the Box is not Important . The Reviews are more Important to most of us, And there is no Sugar Coating anything with your Reviews. Thank you they have helped me decide the ones I Like. I love reading your reviews! As someone who just discovered the world of subscription boxes, they’ve been an invaluable resource. I just started my own subscription review blog and I have to say, you are my inspiration. I love your blog and what you do. If I could get mine to be half as big as yours I would be happy. Keep doing what you’re doing! Liz, my husband just signed up for the t shirt subscription called wohven. He selected the graphic tee subscription. It looks amazing but as we just signed up we won’t get his first tee for a while so thought you might like to add it to your list for reviews and spoilers because they look pretty awesome. Thanks and have a lovely weekend. I had never heard of a subscription box , until i stumbled upon your site. I’m a cosmetologist and a makeup junkie. Now i subscribe to 8 subscription boxes monthly. I always look at your reviews and others comments before I subscribe to a box. Thank you for your honest opinion and all the work you do keeping this site up. Thank you for your hard work to keep us informed! I do have a question I am hoping you can help me with. A couple of months ago, you reviewed a box named Fit Bit and it was supposed to be through Scent Trunk (my choice was women). I signed up to join it and haven’t seen any updates on when I will get it. Have you received any news from them? I appreciate anything news you can share with me. I hope you have a safe and happy Christmas and New Year! I’m so glad I found this site . Wow so many boxes to from. I order the Graze sample heard good reviews. It was 2 days late . I messaged them got back . They got back with me sane day . Very nice . It came next day . I loved it . I was on there that night placing an order to start getting it . should be here next week Yay!! Hi! Who are the other reviewers we see on this site? How does one obtain the opportunity to become a reviewer for your site? Also, questions about the swap site: can i suggest having the matchmaker function available on the actual swap page so that you don’t need to scroll through all the available and followed listings? Also when a swap is automatically cancelled for swapping item to another person, is there a way to keep the other items you proposed on the page in case you can’t remember what else you requested that you might still like to swap for? I have a concern about your box review process. Lately I’ve noticed that all the box reviews have been overly positive and lacking in any real critique. One example I can point out is Yogi Surprise – they advertise full sized products on their site but when I subscribed, I got half of the box in sample and snack sizes. I have been checking reviews since cancelling, hoping they will change back to full sized. But in boxes after I cancelled, more samples arrived. The reviewer failed to point this out and instead gushed over what was clearly a misleading box. About half the comments in the review point this out too. This is only one specific example, but I have seen other lack-luster reviews from people not REALLY looking into what was advertised. I feel like I could write a much more fair and balanced review myself. Please look into your review process. Rebecca – I have to agree. While I think the reviewers are very transparent by providing a photo and value of each item so that the reader can make up his/her own mind, I would like to see the reviews be a bit more critical. And by critical, I DON’T necessarily mean negative. Just more thoughtful. Did this box really live up to what was described or implied online? Are the items they sent not just cute or interesting, but actually functional? I agree. I have had several atrocious experiences with several subscription box companies that continue to get great reviews from this blog. I am not surprised if better items and services are provided to a reviewer by a company on purpose. I review items all the time for companies and get better treatment from them because I’m not paying for the service or product BUT they expect a good review. I take this into account and do not allow that to influence my reviews. For example…great reviews for Blue Apron and Bright Cellars, consistently. Reality – Hands down my WORST customer service experiences in 23 years from both companies. The product quality was horrendous too. They both did and said nothing to fix it or to apologize. A big go get stuffed! Too few reviewers and since the businesses know they are being reviewed it is a recipe for bias. It is going to happen because the companies can manipulate the service and product quality. Not saying the reviewers are biased…just getting preferential treatment. Consistently. Liz- I’m trying to add the $20 Updated Beta box onto a new Birchbox subscription but can’t find a way to do it. Have they discontinued it? I’m curious. How do you determine the value of each sample? Do you ever think that you get so many of these that the novelty wears off? Or are they all still interesting? Just found your site through instagram and I LOVE it. What a brilliant idea and your refusal to accept blogger boxes for review is freaking awesome. Keep it up, we need you lol. I just want to say thank you. I live subscription boxes and anytime I’m considering buying a new one, I always check your site first to see what you’ve said about it as there have only been a couple you haven’t reviewed that I’ve tried. I love your site and while I dont come to the site much, I get your posts my email and read every single one. Thank you!!! I really really want to start my own review blog, I’d really like to focus on pet products and beauty products but maybe just sub boxes in general like you..lol. I just don’t know how to start….sigh. But I wanted to take a minute and say thank you as I love your site. Thanks so much! I’m so glad you find the site helpful (That’s my ultimate goal!). If you’re blocked on how to start blogging, I recommend trying out Blogger for a free blogspot account. It’s very user friendly, and that’s how I started out. After about a year I ended up switching to WordPress, but I think Blogger is best for when you are starting out and just want to get a sense of how everything will work. Hope that helps! Great article! I would love to do a subscription box review thing on my blog, but I feel like you cover everything so well here that there really isn’t anything I could add, lol. I love following your blog. You all do such a great job! What do we do if we have a box that isn’t on your site that we would like you to review? I just started subscribing to a box called the 16 Minute Club for breastfeeding mothers, and it is amazing!! It’s “theme” is breastfeeding, but gives lots of information and advice on new babies and development as well as lots of mommy gifts that aren’t BF related. I would love for it to get the kind of exposure that your site would bring! Is there a process for this? Love your website and love your reviews! You really help me pick which boxes would be best for me. I appreciate your honest reviews and I always find your positivity refreshing. Thank you for all the work you do. I would not be the happy box addict I am today without your site! I never knew some companies did blogger boxes. That is… weird. Neat to see a bit of insight on how you run this blog. Thanks for posting this, although, you didn’t need to. Your reviews are always upfront and I like your neutrality on the boxes. Love this! 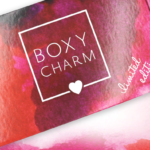 While I may receive something that I don’t totally love (cough, cough, tea and eyeliner) or won’t use, I recognize that it doesn’t mean other people wouldn’t love to receive it in a box! I’ve been a lurker for some time, but have always thought you have an honest vibe to you (and genuinely enthusiastic with subscription boxes themselves). Thanks for confirming that this is the case! I don’t even use the same name when subscribing to boxes (and am often accused of getting a better box than regular subscribers or whatnot), and frankly, I don’t think companies really bother. Sometimes despite best efforts I have ended up with a blogger box. They are completely meaningless for purposes of a review. Great post. I think it’s always nice to know how a blogger does their review. I also think that the items that you don’t use can be a great gift item around the holidays or birthdays. 🙂 No waste there!!! you and Ramblings of a Suburban Mom are the only ones I can read on a daily basis. And what you just wrote explains why. You are so genuine and i truly know what I should expect from boxes I’ve subscribed to thanks to you. Keep them coming!! Aww, that’s me too. Thank you! Thanks for this post. Interesting and informative.